about quilting at the February ChattMQG meeting. 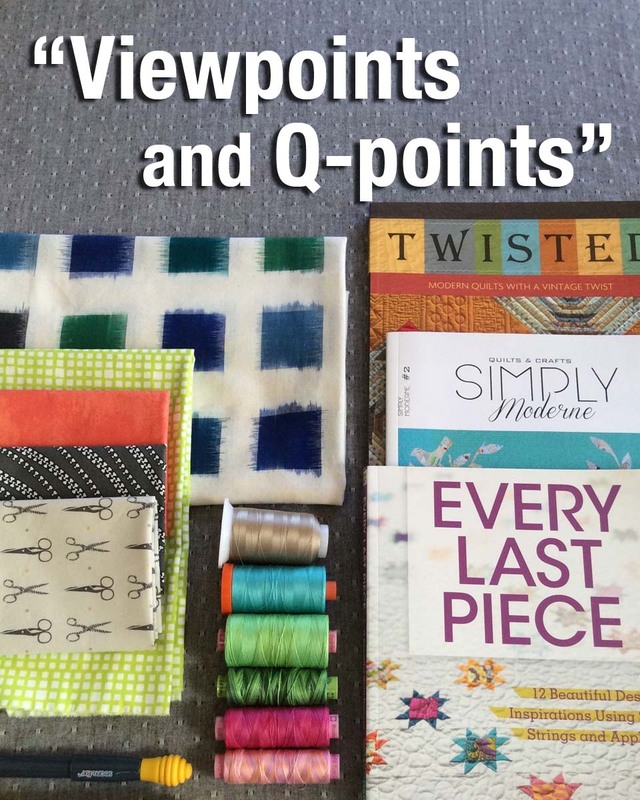 Next weekend at the Chattanooga Modern Quilt Guild, I'm moderating a panel of four experienced quilters in a discussion about various aspects of the quiltmaking process. The presentation is called, "Viewpoints and Q-points." Q=Quilting. I invited four guild members to sit on the panel. They each have their own "quilting super power," so I think we'll have a good diversity of insights, approaches and processes. It will be fun to hear each one's viewpoints and contributions to the discussion. Together, these four quilters have a total of 119 years of quilting experience. Now that's a lot of stitches! This weekend, I've been reviewing my notes, polishing the introductions and fine tuning the list of questions I'll pose to the panel members. 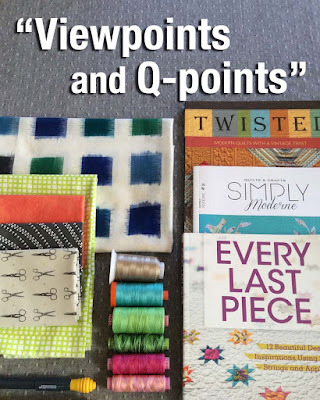 The topics run the gamut—from design inspiration and choosing fabrics through piecing, quilting and binding and the order of the discussion will parallel the quiltmaking process. Since it was part of the 2016 Brainstorming session we conducted with the guild last fall, I'm also including the topic of "Technology"—how quilters use technology (however they want to interpret this term) in their processes. It will be interesting and enlightening. Working with fabric scraps and "Making Do"